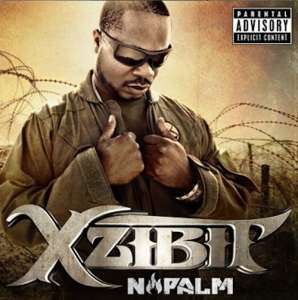 Xzibit announces official Napalm album tracklist & featured artists including Dr. Dre, RBX, The Game, King T and the Alkaholiks, e-40 and more! Xzibit recently released the official track list for the upcoming new Xzibit album Napalm directly from his Twitter account. Xzibit confirmed on his Twitter that the album will be out in September. The album will feature guest rappers such as: King T and the Alkaholiks, e-40, Dr. Dre, RBX, The Game, Rick Rock, B-real, Young De, Bishop Lamont and more!!! sounds like another banger!!! lesshoe!!! 1983 StringAcapella??? Nooo… This is not the bonus track! Is 1983 unfinished!